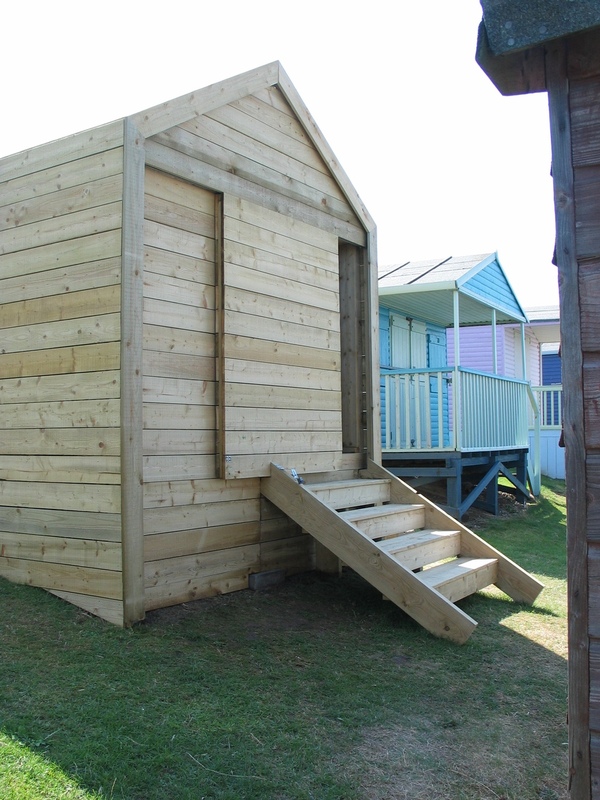 This beach hut plays with the strict design rules for beach huts in this area, 3m x 3m x 3m to maximise the internal area for storing large beach toys such as surf boards, wind surfs and canoes. The large sliding door and steps provide a great place to sit and enjoy the view of the North Sea and watch people walk along the promenade. 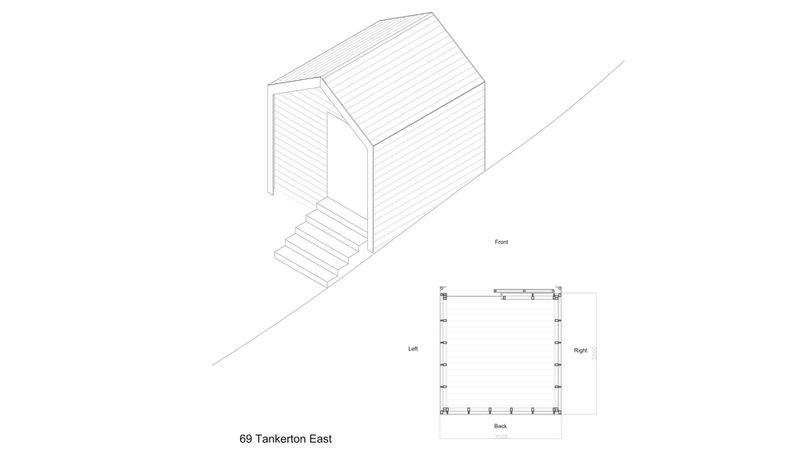 The beach hut has a double layer of timber boards with a clear waterproof membrane to allow daylight to filter in to the interior. 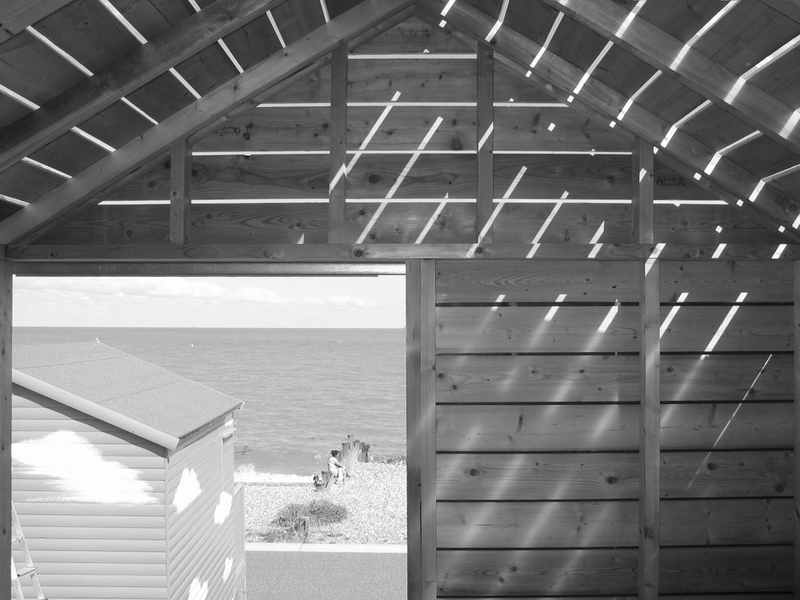 The beach hut was built by architecture students from Kingston University.